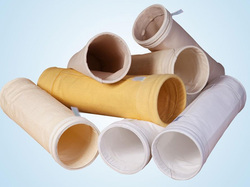 Smart is supplying pleated dust collector filter bags with 3 lug top design and high filtration spun bonded filter media. The standard pleat depth are 16/28/48mm and no of pleats and area of cartridges can be customized as per customer requirement. With the assistance of our dedicated team of professionals, we are providing a premium quality range of Polyester Filter Bags. Our organization is well applauded for its quality standards for manufacturing Polyester Filter Bags and we with our efficient engineers strive to maintain that best quality is delivered to our customers. We also offer Fabric Type Dust Collector and Pleated Type Dust Collector to our customers. We are a coveted organization that is engaged in manufacturing, supplying and trading Non woven Filter Bags. Best quality fabric that is sourced from certified vendors of market is used in the manufacturing process. We offer these bags in various sizes and designs at industry leading rates. 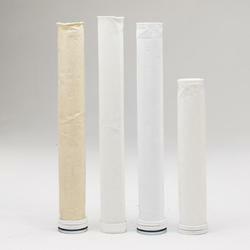 We are a coveted organization that is engaged in manufacturing, supplying and trading Non woven Filter Bags. In order to cater the variegated demands of our clients, we are offering an excellent quality range of Polyester Filter Bag. Khosla Profil is a Leading Manufacturer of Polyester Filter Bag.